Colin Songsmith sings a song to an old witch who takes an unlikely revenge. The witch’s granddaughter rescues him from the dire threat of being eaten alive by the cat. She hears the song, which happens to concern her recently married sister and a gypsy. Convinced that she has to save her sister, she takes the minstrel, the cat, and her magical resources to Rowan Castle. The story is rich with descriptive details of setting and encounters with magical and fantastic creatures such as a talking cat, a lovesick dragon, and a bear prince. Welcome to the Sanctum Secorum podcast. Tonight we look at a book not from Appendix N, but certainly one of the period and by an author contemporary with a number of others on the list. 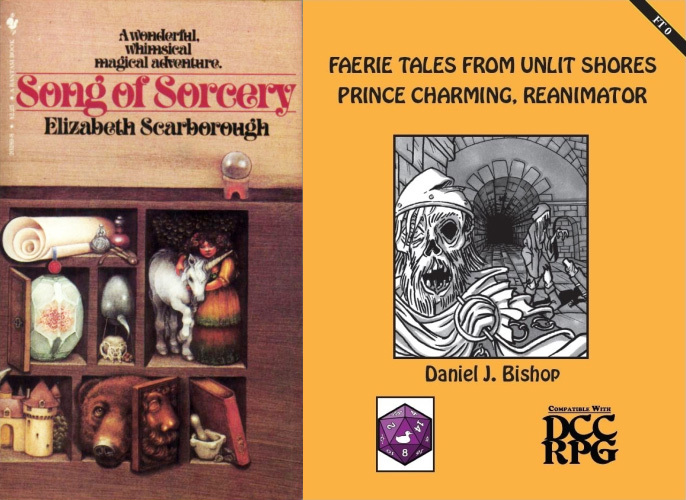 We then pair the story with our featured adventure, Prince Charming, Reanimator to really bring some flair to the table. In addition, we have bonus content to bring to your game: classes, monsters, spells and more…after the jump. The haunted, treacherous and doomed albino sorcerer-prince is one of the great creations of modern fantasy. An introspective weakling in thrall to his soul-eating sword, Stormbringer, he is yet a hero whose bloody adventures and wanderings lead inexorably to his decisive intervention in the war between the forces of Law and Chaos. A fantasy classic, Elric of Melniboné is an exceptional fantasy icon of violence, power, politics and war and his tales make up a fantasy masterpiece. Welcome to the Sanctum Secorum podcast. 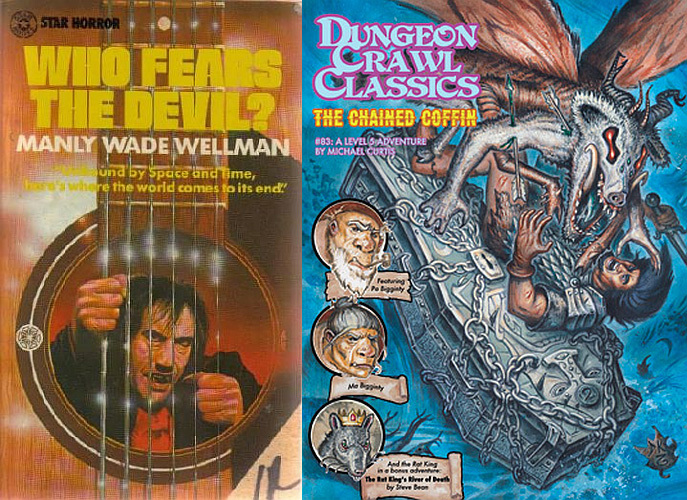 In this episode, we examine the first book in a series that is regarded as one of the most influential sword-and-sorcery resources among Appendix N. Many thanks to Kevin Searle for the suggestion!